Dr. Gin Han graduated from the University of Texas Southwestern. She did her internship at the Harbor-UCLA Medical Center and completed her residency program at the Loma Linda University. She is specialized in Radiology and board certified in Diagnostic Radiology. 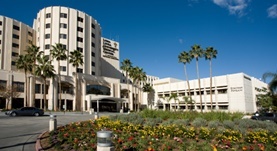 Dr. Han has been in practice for more than 3 years and is affiliated with Loma Linda University Medical Center. During her career, she has also contributed to a publication of clinical interest. Dr. Gin Han has contributed to 1 publications. The usefulness of phosphorylated-signal transduction and activators of transcription 3 in detecting prostate cancer from negative biopsies. Han, G.,Yu, J. Y.,Chen, Y. D.,Cao, X. L.,Zhu, J.,Wang, W.,Wang, X. X.,Zhang, X.,Yan, J. Q.,Gao, J. P.; Eur J Surg Oncol. 2012 Jan 21.